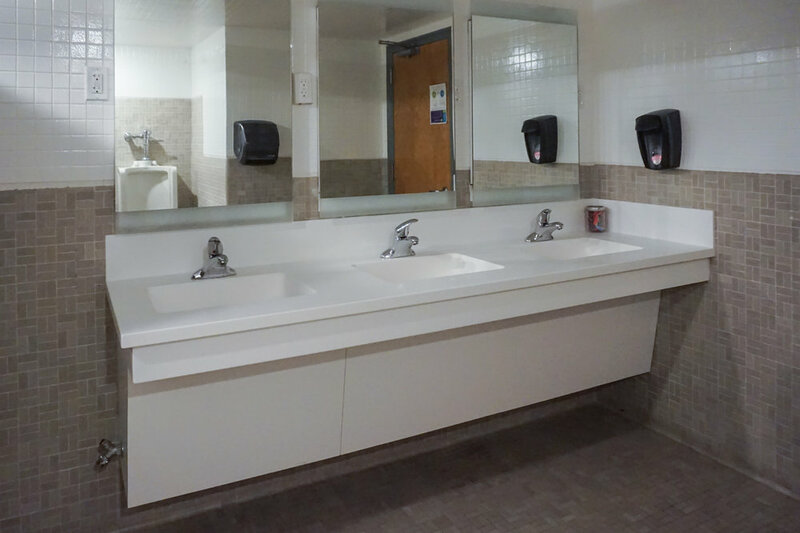 Sterling Surfaces recently completed fabrication and installation for the Valentine Hall restroom remodel at Amherst College. 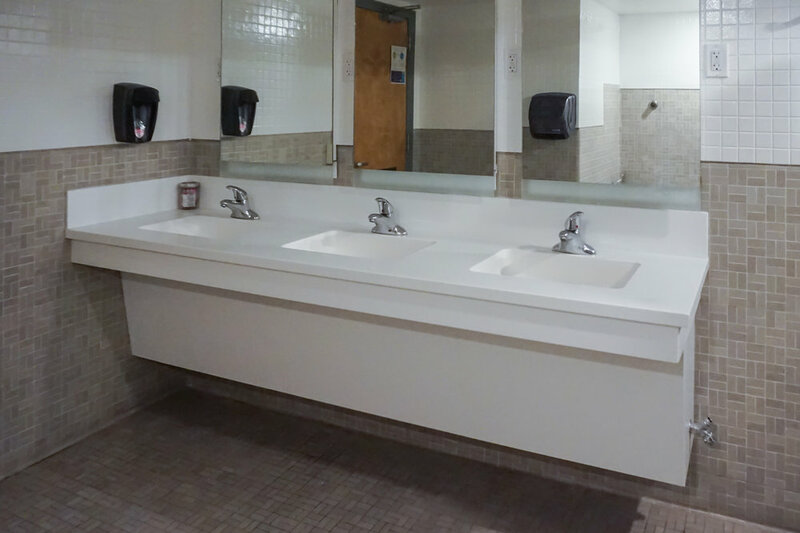 The project featured "Glacier White" Corian vanities with intergrated bowls. Corian was also used for the removable cover panels that hide the plumbing. 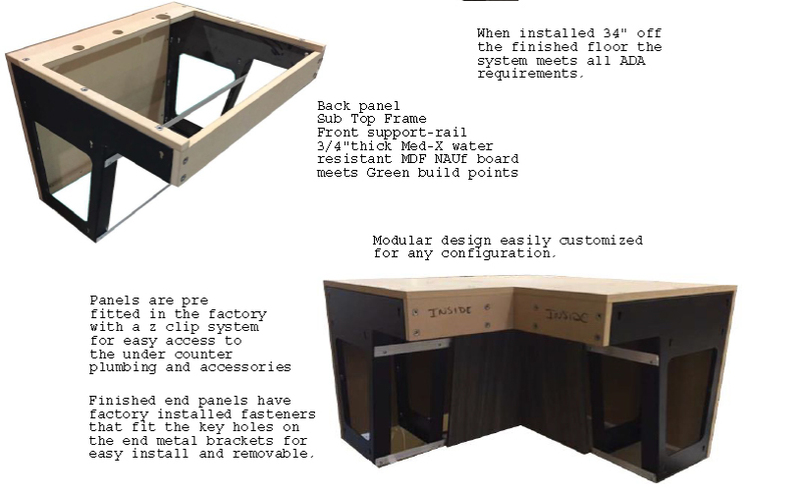 Sterling Surfaces' integrated commercial sink system features a powder coated custom-designed counter support proprietary to our system, a ¾” Medex back panel, a front rail, an under-counter support frame, CNC machined fasteners for quick assembly of the system and a Z clip mounting system for the plumbing covers, allowing for quick and easy access to the plumbing and any other under counter accessories.